From time to time, someone objects to the need to attend church regularly. They say they can be good Christians without participating in church. I don’t agree. “The flesh can bear only a certain number of wounds and no more, but the soul can bleed in ten thousand ways, and die over and over again each hour.” Those are words from the iconic 19th century pastor/theologian, Charles H. Spurgeon, who personally understood the silent, unnamed pains of depression. Just as we are not immune to physical health problems, people of faith are not immune to mental and emotional suffering. The psalmist cried out, “Darkness is my only friend” (Ps. 88:18). Many people in our churches relate to this ongoing sense of loneliness and despair. Spurgeon’s self-awareness and candor were ahead of his time, but we now know it is estimated that half of us will experience some form of mental illness in our lifetime. “Combining the child and adult populations, more than fifty million Americans today experience at least one diagnosable mental health disorder on any given day. And it’s reported that there are 123 suicides in the U.S. every single day. 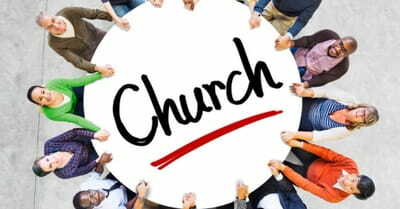 Are singles integrated into the life of your church? My BreakPoint colleague Gina Dalfonzo has written a new book to help churches do better with single adults. We were made for community. Every image of the church in the Bible is collective—a body with many members, a vine with many branches. Why is 'Phubbing' a Bad Thing? We are social creatures, made by God for relationship with each other. Our deepest need is for community with God and his children. A report found that every five minutes, one Christian is martyred for their faith somewhere in the world. Is Church the Antidote to Loneliness? I’ve often wondered why the studies show consistently that going to church lengthens your life and even the quality of your life.